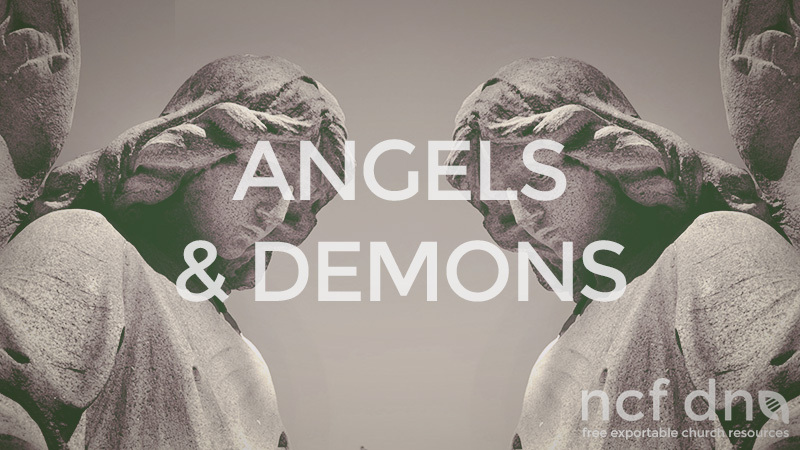 As part of our Ultimate Man series, we did a three-part “series-within-the-series”, called Spiritual Warfare, Angels & Demons. A topic such as this can raise questions, so we asked church people to ask away and Nigel Day-Lewis put together the following bible-based responses. Here are 23 questions we were asked during the recent mini-series on the above topic – and then an attempt to give a concise, clear and biblical answer to each. Do you become an angel when you die? Do believers have angels that protect them? Should Christians respect the devil? If only God knows our thoughts, how is the devil (not knowing our thoughts) able to put thoughts into our mind? Can evil powers be given to you to do the devil’s work (e.g. the ability to move objects)? How do you know if it’s demonic or psychological? Are ghosts, haunted houses, etc demonic real– and, if so, why would demons live in your house? Is it advisable to allow my children to watch Harry Potter? My kids are not saved yet, so does the devil have power over them? How do we explain demons to our children without scaring them? Contrary to popular belief and sentiment – no! Angels and humans are distinct created beings, now and always (Heb 12/22-23), belonging to the invisible and visible dimensions of God’s creation respectively (Col 1/16). In a general sense, definitely yes. Angels are “ministering spirits sent to serve those who will inherit salvation” (Heb 1/14), and part of their ministry to believers includes protecting them at God’s command (Ps 91/11-12). But whether each believer has a ‘guardian’ angel is not so definite. Ac 12/15 probably reflects a sentimental belief as popular in that time as in hours. Mw 18/10 is more suggestive – but falls some way short of stating conclusively that each individual believer has an assigned individual angel protecting them. Ultimately, however, whether we have a ‘guardian’ angel or not doesn’t matter: if God commands angels (pl./gen.) to watch over us, that’s sufficient. If by ‘respect’ we mean admire or look up to, definitely not. There is nothing about him whatsoever to earn our respect. Nor is there any reason to ever fear the devil and his angels (Lk 9/1, 10/18-19). But we should recognize that he remains a powerful (though fallen) angelic being, and we do not go around courting trouble by slandering (and otherwise unnecessarily ‘engaging’ with) him and his demons (Jude 8-10, 2 Pe 2/10-12). No one “among men knows the thoughts of a man except the man’s spirit within him” (1 Co 2/11) – and God “alone knows the hearts of all men” (1 Ki 8/39). But almost anything and anyone, through our five senses, can put thoughts into our mind – and to some extent know what we’re thinking by our expressions/words/actions. The devil can also put thoughts into our minds via our senses and, by watching our actions, work on any effect he perceives those thoughts are having. In fact, he can so twist truth and deceive men that eventually he blinds their minds (2 Co 4/4). However, it is possible that as a supernatural/spiritual being, the devil knows and can access what/where man cannot, and as a fallen being that he does so where God does not give him permission. That is, the devil may be able to put thoughts into our minds directly (not via the senses). Even if this were the case, however, it should be of no concern to the believer: it is not what comes into our minds that matter, but what we do with it. Any thought from the devil, as with any other wrong thought, we take captive to Christ/truth (2 Co 10/5). Those that are very deep into the occult can be given supernatural powers to do the devil’s work and give him ‘glory’ (Ac 8/9-11) – but there is always double payback from the devil (as well as judgement from God) for those who are used in this way. It goes without saying that the devil would not and cannot give Christians these powers – and that believers should never be dazzled/drawn by or dwell on them.